Overseas Medical UkraineBlogCosmetic surgeryWhat Makes Surgery “Cosmetic”? Insurance companies think that the distinction between cosmetic and reconstructive surgery is easy. Reconstructive surgery is what they pay for. Cosmetic surgery is what makes your insurance company laugh when you send in a claim form. But much as your insurance company wants you to think that it has all the answers, these companies change their definition of “cosmetic” all the time. There are no fixed rules. Insurance companies once argued strenuously that reconstruct­ing a breast after a mastectomy was cosmetic. After a while, they changed their minds and agreed that it was cancer reconstruction. Insurance payment problems also abound around correcting “Dumbo” ears in little children, dermabrasion of acne scars, and making enlarged breasts smaller. All of these operations were once written off by in­surance companies as cosmetic. Patients who had them were not reim­bursed. Doctors and patients who didn’t think that was fair convinced most insurance companies to change their minds. Insurance companies are not the last word. It is more likely that surgery to be cosmetic if you have the operation because you don’t like the way your looks make you feel. 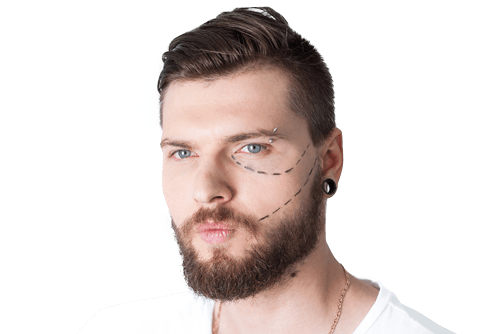 If your biggest benefit is psychological, then let’s call the surgery cosmetic. Not everyone agrees with that, but it might be the best practical definition. Tony had a bump on his nose, and everyone told him he was “dumb” to have it fixed. He was a good-looking athlete and had lots of friends. They all agreed he should not waste his time and money.